Rumi Forum Iftar Series continued in Ramadan thru July. This year Rumi Forum hosted groups from numerous organizations in DC such as The Brookings Institute, American University, National Press Club, Department of Justice and Department of Education among others. Rumi Forum also organized VIP home iftars bringing people together around dinner and discussion. Emre Celik, President of the Rumi Forum attended VIP Iftars organized by the State Department (hosted by Secretary of State John Kerry), Maryland Governor (hosted by Governor O'Malley) and DC Mayor (hosted by Mayor Vincent Gray). Rumi Forum organized 4 study trip delegations during the month of May and June 2013. Well-respected Turkish intellectual and scholar Fethullah Gülen was awarded the Manhae Peace Prize for his contributions to world peace at a ceremony held in South Korea on Sunday. Among the prominent recipients of the Manhae awards since they were first presented in 1997 are former South African President Nelson Mandela, exiled Tibetan spiritual leader the Dalai Lama and Iranian rights advocate Shirin Ebadi. Emre Celik, Rumi Forum's President, spoke of his dialogue experiences in Washington DC and Australia and discussed the practical steps necessary to encourage it. The program was organized by Denmark's Dialog Forum. Zeki Saritoprak is the Nursi Chair in Islamic Studies at John Carroll University. He delivered an Interfaith Lecture on the Gülen movement and on Turkish culture and religion in the Hall of Philosophy at the Chautauqua Institution. Saritoprak is a contributing author of Turkish Islam and the Secular State: The Gülen Movement, edited by Hakan Yavuz and John L. Esposito. 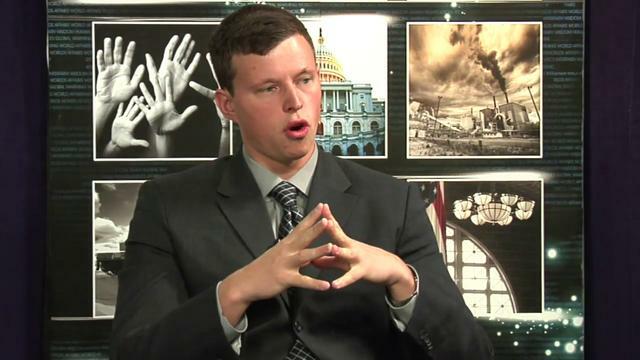 Walter Wagner attempts to present a framework of understanding that outlines the philosophy and theology of Fethullah Gulen, a worldwide known scholar of Islam who inspired a global movement of education and interfaith dialogue. This book shows how Gülen's vision for the present and future makes the present and future forms of Hizmet an essential part of his wider and urgent call for the formation of a community of religiously committed and non-religiously committed persons to work toward a just, equitable and prosperous world now. 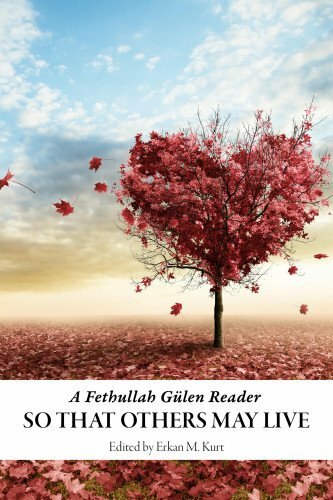 So That Others May Live offers a definitive compilation of Gülen’s characteristic essays. Some of them are available here in English for the first time. The rest have been carefully re-translated and edited, providing even familiar readers with new insight into Gülen’s most remarkable writings on faith, morality, education, civic service, and modern civilization. Together, this selection functions as a valuable guide to the ethical impetuses of a global social movement—one that has rooted itself in Gülen’s signature synthesis of humanism and Islam. Dialogue Theories gives an accessible introduction to the ideas of ten thinkers who have made insightful contributions to thought on dialogue, from quantum physicist David Bohm, to social theorist Jürgen Habermas, to Islamic scholar and peace advocate Fethullah Gülen. One of the biggest highlights of the trip was getting to know the other participants. It was a “fellowship” in the true sense of the word. We were all scholars with a different research interests studying at a variety of schools. Yet, there was a great deal of mutual respect running through the widely (and sometimes wildly) different personalities. We were able to discuss many points of view in our conversations with each other and the people we met along the journey. We also formed friendships that I hope will last into the years ahead. This story was written during the darkest days of the so-called Feb. 28 process and was published in the Zaman daily on Dec. 21, 1999. Today the whole world is focused on Nelson Mandela who has been in hospital for the last few days. I think it is time to rethink the message given by two great leaders of our time, Mandela and Fethullah Gülen, a decade ago at the Parliament of the World's Religions. We join in the prayers for Mandela and wish these two great leaders health and peace. As the world continues around us and we come to the end of Ramadan, I hope we each can reach back to our own moments of calm reflection and serenity to contemplate the broader connections we share as human beings first and foremost. Whether we are Christian, Jews, Muslims or any other religion, we can celebrate the spirit of Ramadan by sharing fellowship with those around us.